The present article examines why Swedes cooperate with the police using the framework of the procedural justice theory. This theory assumes that trust in procedural justice and in the effectiveness of the police are important issues in shaping citizens’ perceptions of police legitimacy. Additionally, perceived legitimacy is necessary for the recognition of police authority. When citizens recognize the right of the police to exercise authority, they are assumed to feel an obligation to obey the police, and ultimately they will have a greater tendency to cooperate with them. Because of the ongoing discussion about the meaning and conceptualization of the concept of ‘legitimacy’, some additional ideas are described and are also taken into account in the model that we tested. We used structural equation modelling (SEM) to do the analysis, which was conducted on data available from the European Social Survey (ESS) Round 5. 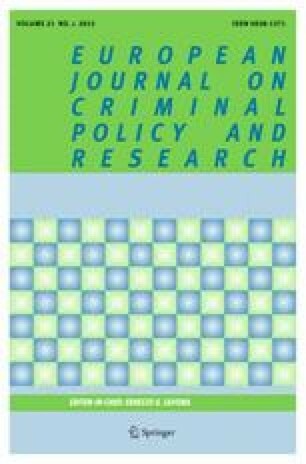 The results indicate that trust in the procedural justice of the police plays an important role in the explanation of citizens’ willingness to cooperate with the police through perceptions of moral alignment and feelings of obligation to obey the police. However, there is still a high percentage of individual variance in willingness to cooperate with the police that cannot be explained by the model we tested. The implications of the findings are discussed.